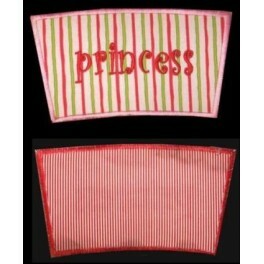 This is a large reversible template design made in the hoop for Playtex brand 10 oz sippy cups! You will receive instructions and two files for making the reversible inserts. 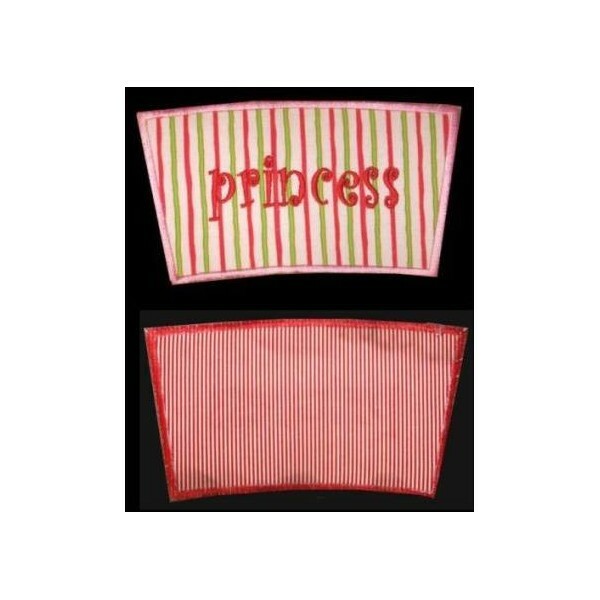 The first file is the insert along with the word "princess" and the second file is the blank insert for you to add a design! The size of the design is 8 (1/4)" x 4 (13/16)" : 5623 Stitches and is not avaialble in pcs or sew. Use two contrasting fabrics to make this delightful insert!